TEL AVIV — One of my brothers lives in Northern California, a few miles away from Apple’s new circular spaceship-like campus. A few days ago, hanging out, we ate one of his favorite spots, Falafel Stop. First, the falafel was amazing. If you’re ever there, seriously — awesome. Second, Falafel Stop is the sort of place that would make Trump World supporters go berserk. Here was America in the 21st century for real: two Iranian-American couples who’d driven down from San Mateo on a double date because the Yelp reviews made Falafel Stop out to be so good; a pair of Indian-American families at one of the tables, each with a 3-year-old boy; a couple of gearhead car dudes wrapped up in a discussion over whether a 2004 Lexus i300 is the best used-car buy, like, maybe ever. Third, all this was because the Israelis had made it very cool to eat — and hang out — there. For anyone and everyone. In tech, medicine, beauty and skin care, food, all kinds of things, Israel is increasingly one of the world’s cool brands. Now — what about sports? In a three-day tournament that wrapped up Saturday, Tel Aviv played host to the European Judo Championships. Some 400 athletes from 44 nations qualified to be here. Production: first rate. What would you have expected? Most important, it was all — normal. This event proceeded like any other judo — or, for that matter, any other international sports — event anywhere else. Opening ceremony. Competition. Flags. Anthems. Wrap-up flag hand-over event. Normal. Security: totally, totally normal. In fact, so low-key that there were no rifle-toting soldiers to be seen anywhere around the Tel Aviv Convention Center. It’s not only normal here in Tel Aviv, it’s way more than OK. There has been a development boom here over the past 15 or so years that has seen this city grow up and attract multinational corporations and, with it, all kinds of interesting stuff and interesting people. 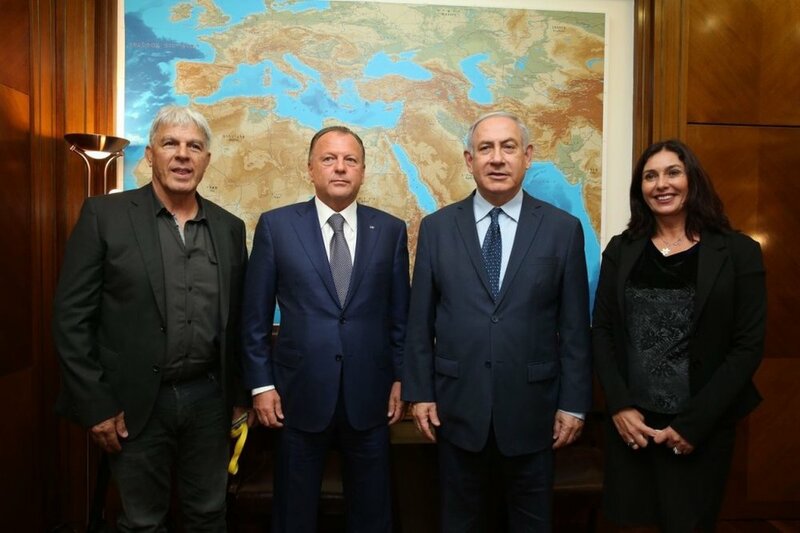 Major credit for the initiative of the European judo championships goes to, among others, Moshe Ponti, head of the Israel Judo Association; Marius Vizer, president of the International Judo Federation; Sergey Soloveychik, European Judo Union president; and Miri Regev, Israeli minister for culture and sport. Understand: these championships proved such a key moment that Vizer met Wednesday with Israeli prime minister Benjamin Netanyahu. Sports happens in the real world. To observe that perceptions of the Israeli brand have changed — and they have, otherwise the judo event and more would not be here in the first instance — does not stand as a tacit rejection of nor some implied course of willfully ignoring the multiplicity of controversial views with which this country is held. Nor is it to dismiss the many difficult — if not sorrowful — matters in this part of the world that generate headlines, often worldwide. Friday’s competition, Day Two of the three-day run, opened with a moment of silence in memory of 10 young people killed Thursday after being swept away by flash flooding west of the Dead Sea. Even while the judo event was going on, violence erupted at the Gaza border, with hundreds of Palestinian protestors — urged on by a Hamas leader who told them not to fear death but to welcome martyrdom, according to the New York Times — seeking to tear down a security barrier and Israeli troops responding with gunfire. Four Palestinians were killed and hundreds wounded. Is a judo championship going to solve a political dispute that has been ongoing for decades? The cynic would say — no chance. Then again — look at the seeming breakthrough on the Korean peninsula in the aftermath of the 2018 Winter Games. Did athletes from Muslim-majority Turkey compete here with no problem? Check. Azerbaijan? Same. For the minister of culture and sport, this was big-time ROI. For Israeli branding worldwide — the same. For judo, too — on the medals stand, Chouchi and Muki exchanged a hug, underscoring the mutual respect at the sport's core. This coming week, the Giro d’Italia opens here in Israel, the first time one of cycling’s three historic grand tours is due to break ground outside of continental Europe. That’s in large measure due to the push of a Canadian entrepreneur who has moved to Israel, Sylvan Adams. Again, perceptions have changed. Otherwise, no way the Giro starts in Israel. Assuming all goes well, it’s not hard to figure out what figures to be the next progression on Adams’ cycling start list. For all that, at least when it comes to Olympic sport, Israel has for a generation been partial to judo. The country has won, in all, nine Olympic medals; windsurfer Gal Fridman has two himself, including Israell’s only gold, at Athens in 2004, as well as a bronze in Atlanta in 1996; five of the nine have come in judo. This can be traced in part back to Yael Arad, the first Israeli to win an Olympic medal. She won a silver at the Barcelona 1992 Games. In judo. What judo can do now, in particular, is serve as a figurative beachhead in opening things up further. If judo can bring all of (let’s be diplomatic: historically wary) Europe to Tel Aviv — why not, well, you know? Indeed, the next logical step organizationally would be — as Vizer and Netanyahu discussed — an IJF tour event “open to all countries.” Details (when, for instance, perhaps as soon as 2019) remain to be fixed. Meanwhile, on a parallel track of sorts, as it happens Arad is coming out with an autobiography. In Hebrew. This book, entitled “First,” ought to be translated into English at the earliest opportunity. It’s hardly rocket science that nation after nation has used sport as an exercise in soft power. Why Israel has not done so — and there are a lot of rocket-science minds here — is, frankly, a mystery. Especially when every Israeli Olympic medalist is treated like he or she is King David of yore. The up-and-coming star would seem to be 18-year-old Gefen Primo, a bronze medalist in her debut at the senior continental championships in the women’s under 52-kilo class. She celebrated by making her hands into a heart shape over the Israeli flag patch on her judogi, the traditional uniform. On Saturday, wrapping up the tourney, Israel’s Peter Paltchik took bronze in the men’s under-100 class. In all for the home team: four medals — one gold, three bronze. Only Russia (eight overall, four gold), France (five and three) and Britain (five, one silver, four bronze) did better. Israel outperformed such traditional judo powers as Georgia (no medals) and Holland (three medals, one gold). All sports organizers know that a winning performance by the home team is essential. 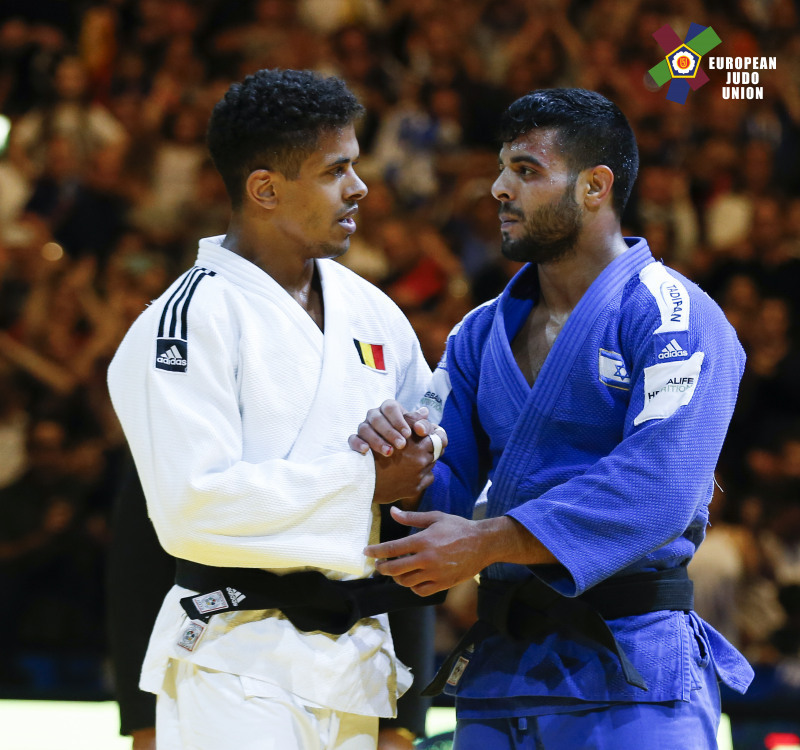 Now that Israel is stamping itself in the hosting business, it’s all the more essential that Israeli teams step up their performance — just like the judo team did at the 2018 European tourney. The Israeli government has long made plain its fiscal and cultural priorities for allocating its shekels. It would thus seem beyond obvious that Arad, now a corporate executive for the Nickelodeon and Viacom brands, can and should be a —if not the — point woman for the sort of diaspora fund-raising exercise designed to privately fund Israeli sport so significantly that it can — as soon as possible — compete at the level of the United States Olympic Committee, Russia, China, whoever. In track and field, swimming, figure skating, you name it. No one puts limits on Israel’s high-tech dreamers. Why its athletes? This same rhetorical question could be posed for many nations, by the way. The difference with Israel is that it is the hub to an often intensely connected community that literally spans Planet Earth. The USOC’s 2016 budget totaled $338.7 million. It sent more than 550 athletes to the 2016 Rio Games. Israel is a way smaller country — 8.5 million people here, 325 million in the United States — and doesn’t need to send 550 people to a Summer Olympics. But could a concerted worldwide fundraising effort pull together tens if not hundreds of millions of dollars? The real question is why — when Israel has been branding itself left and right as super-cool in virtually every other arena of modernity — it hasn’t already been made a priority.